Walter Mitty (Ben Stiller) lives a quiet and timid life. He’s afraid of change, he’s afraid to stand up for himself when his job at LIFE magazine is threatened, and he’s afraid to confess his feelings for his co-worker, Cheryl (Kristen Wiig). Then he loses the photo needed for the cover of Life’s final issue, and the only way to get it back is to go find the photographer (Sean Penn), an adventurer who could be anywhere in the world. 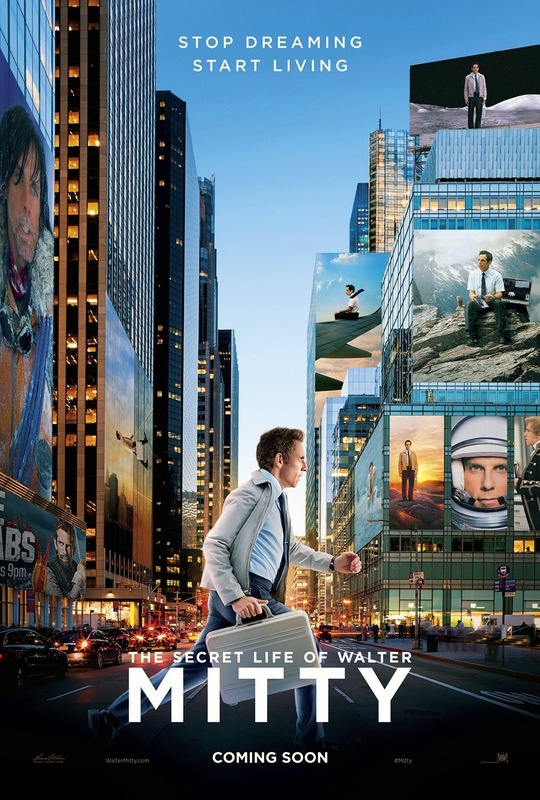 An adaptation of James Thurber’s 1939 short story in which a man escapes his drab existence with flights of fancy, Walter Mitty is the consummate wallflower. Here, he’s a man who goes unnoticed as he moves through the world, working quietly in the picture department of the once monumental magazine that’s now closing due to changing markets and financiers who are unable to see beyond the bottom dollar. But inside Walter is a world of wonderment and adventure — he daydreams he’s the hero who rescues a puppy from a burning building, or a courageous champion who battles futuristic villains, or a powerful mountaineer who boldly claims the girl. The Secret Life of Walter Mitty has frequently been compared to Forrest Gump, a film I don’t like (and felt like an alien when it was released and everyone in the world loved it and I secretly wondered what was wrong with me). Sure, both are feel-good movies with optimism at their core and dorky lead characters. I believe, however, that this film is more thoughtful and relevant – this is a story about the journey to change oneself, not the external world, and to find personal truth, perspective, and confidence in a global environment that often seems dishonest, unreal, and disheartening. As both the director and lead, Ben Stiller is sincere, revealing to us that he’s a huge romantic with a subtle side. I love the films Stiller has previously directed, such as The Cable Guy, Zoolander, and Tropic Thunder, but they had an indulgent, farcical comic style, along with a huge dollop of cynicism. The Secret Life of Walter Mitty is funny, but the humor is situational rather than comedic, and it’s also unabashedly hopeful. This isn’t likely to be the best movie that you’ll ever see, but it is a touching and timely one worth watching.